I’m still taking a tiny vacation over the holidays, but here’s a new batch of bad comics anyway! I planned to post a Christmas-themed one as well, but ran so late with it that I figured I should just aim for New Years instead. Look for more bad comics on Monday, and a proper new strip later next week. Oh, and remember you can click on the image below to zoom in. “Glasses” and “Loving the bomb” are teh lolz. Happy New Year! 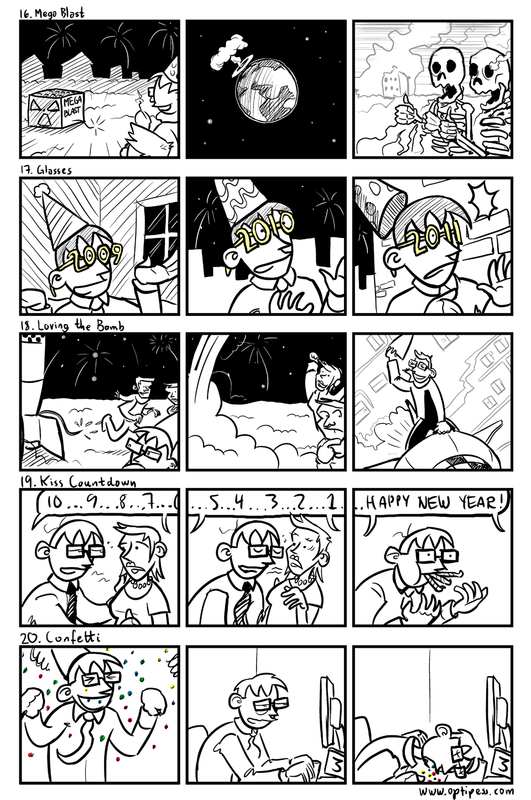 haha, I totally hope that I puke some confetti for the New Year! Awesome bad comics as always!